Ok, I’ll try for next week. Yup, they informed me the rate will go up to $85 per hour. Sorry Kevin, looks like next Wednesday's game will be from 9 to 10 pm, not 10 to 11 pm. If we don't get a game going this Saturday, I won't try again for Saturday until next year. Both the Tuesday and Thursday night games are now at Sports Planet. From speaking with some of those who have played on the big pitch at Sports Planet, including the 8-a-side game on 3 August 2010, I understand that 7-a-side is just right and 8-a-side is too crowded. From now on, numbers will be capped at 14 (7-a-side) for the big pitch at Sports Planet, and anyone after that can only be in reserve, especially since from now on, there are two games each week on the big pitch. Games on the big pitch at Sports Planet have become as popular as games on the big pitch at the Premier Pitch. If you want to play on the big pitch at Sports Planet, but can only play on one of the two days, put your name down early. I'll still do a poll as I said earlier, but rather than do one for each game (the way I'm doing for the Saturday afternoon game at the Premier Pitch), I'll do a single one (as I did for the big pitch at the Premier Pitch generally). The poll is above. Unless there is a clear majority in favour of allowing up to 8-a-side, I'll stick with capping numbers to 7-a-side. The big pitch at Sports Planet may be popular, but there are a couple of issues. First, there is just one big pitch, which is completely separate from the small pitches. At the Premier Pitch, the big pitch is formed by joining two small pitches together, so if we don't have enough for the big pitch, we can easily switch from the big pitch to the small pitch the day before the game or even on the day itself. All the Premier Pitch need to do is divide the big pitch into two, and allow another group to play on the other small pitch. At Sports Planet, if we don't get enough players for the big pitch, a small pitch is unlikely to be available in the week before the game (let alone a day or two before), so we either have to go ahead on the big pitch or cancel the game. That is why for both Tuesday and Thursday nights, when switching from The Cage to Sports Planet, I started with a small pitch first (just to be sure we had enough numbers). The other issue is that the big pitch at Sports Planet is not covered. If it rains heavily in the evening, Sports Planet will call me to ask if we wish to cancel. However, if it stops raining early enough, the pitch may still be playable. I believe we can carry on even if it is just drizzling during the game. The bigger problem is if it starts to rain heavily just before or during the game. We'll have to cross that bridge when we get to it. It is more likely to happen towards the end of the year, the traditional rainy season (although it has been raining a lot these past two months, July and August, the traditional dry season!). Everyone just has to accept the fact that the rain will be a problem from time to time. I can't solve every problem that arises. I'll continue to check with Sports Planet, whether, and if so, when, they plan to cover the big pitch. When I called Sports Planet yesterday, they said they had the big pitch next Thursday (26 Aug). When I called again today, they said they were mistaken, so we only have the big pitch on 9 September 2010, and from 23 September 2010 onwards. If we only get to 12 players for the big pitch at Sports Planet, we have no choice but to go on with a 6-a-side, even if it is tiring. One thing we can do with 6-a-side is play to the side lines to slow the game down a bit. The same consideration arises with 4-a-side at The Cage. Due to a variety of circumstances, we had 8-a-side on the big pitch at the Sports Planet last night. 8-a-side remains the exception. It would be good though, if those who play regularly on Tuesday and Thursday voted in the above poll. The game on 16 November 2010 survived rain that lasted until close to 8 pm, but the game on 25 November 2010 did not. We can wait until 8 pm before making a decision. Tuesday's game survived the rain. I hope tonight's does too. Thursday's game didn't survive the rain. Unfortunately, I am not able to get the covered pitches at either The Cage or Sports Planet on Wednesday or Thursday night for some time to come. Last Tuesday's game went ahead despite a light drizzle. Earlier, two Thursday games (25 Nov 2010 and 2 Dec 2010) were cancelled although the drizzle was no heavier. The reason for that was that I had SMSed players and put in their names as the games had been slow to fill up, and a couple of the players I had asked were not keen to play on a wet pitch. I didn't want to force players I had asked to play to play on a wet pitch. Further, as take up had been slow in the first place, it would have been difficult to find replacements. Anyway, it would have been too late to find replacements. The Tuesday and Thursday games this week are have already filled up, entirely on the message board, and with several players in reserve. From now on, the games for which prepayment applies will go ahead even if it is drizzling. A game will only be cancelled if it it pouring in the hour before the game. We haven't had a cancellation for rain since 2 December 2010, even though it has been raining a lot during a day. However, even when it has been raining during the day, it has stopped before the 9 to 10 pm game, latest by about 6 or 7 pm, which means the game has been able to go on. Last night's game is a good example. The game last night started 6-a-side. 6-a-side is ok.
We do try to get 14 for 7-a-side, but if we get stuck at 12, we shouldn't worry about it. 8-a-side is definitely too crowded. I don't think it should be an exception even. I've locked the poll. There is one set of lights that is usually left off. They had it serviced earlier in the week, but it tripped, causing all the lights to go off. They did not switch it on again. As it is with floodlights, it took about 10 minutes for the remaining lights to come back on. It's been raining virtually non-stop since Saturday morning. If it continues into tomorrow evening, I'll look into switching the game to 2 hours on the small pitch, with 3 teams (subject to availability). In that case, we can go up to 15. It's raining, but hopefully it stops early, as it did yesterday evening. Fortunately, even when it has been raining, it has stopped early enough for the game to go on. The one set of lights was left off again last week. Not having that one set of lights on leaves the side of the pitch closer to the road darker. When playing there last Wednesday, I felt that having that one side darker does affect the game to some extent. ..., we can try the Premier Pitch at Khalsa. Like the big pitch at Sports Planet, it is not covered, but at 36m x 24m, it is wider than the big pitch at Sports Planet, at the same price of $120 per hour. I'm prepared to have one or more regular games on the 7-a-side pitch at the Premier Pitch @ Khalsa. I expect that a Monday night 5-a-side game at The Cage will become regular in time. However, even though I put it up for consideration, I don't expect to be able to start one more weeknight 7-a-side game any time soon. Numbers have been fluctuating a lot, and although we have gotten up to 4 reserves for some of the 7-a-side games, some of the other 7-a-side games have struggled to fill up. Many of those who play on Wednesday nights at Sports Planet don't actually live in the east, so I am minded to switch that game from Sports Planet to the Premier Pitch @ Khalsa. Further, Sports Planet have been having problems with the lighting for the 7-a-side pitch. As this is a switch from an uncovered pitch to another uncovered pitch, the risk of rain is not a materially greater concern. The same principle will apply as with games at Sports Planet - the game will go ahead even if it is drizzling, and will only be cancelled if it it pouring in the hour before the game. I intend to switch the Wednesday night game to Khalsa from next week onwards. 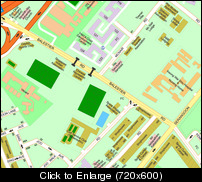 A location map is attached. It can also be viewed here. I am also minded to switch at least one of the weekend games from the Premier Pitch @ Turf City to the Premier Pitch @ Khalsa. Personally, I feel the Premier Pitch @ Khalsa is a more central location than any of the other venues we are using, namely, the Premier Pitch @ Turf City, Sports Planet or The Cage. Also, if we cap numbers at 14, it works out to almost $12 per player at Turf City. The price at Khalsa can be fixed at $10 per player. However, as it would be a switch from a covered pitch to an uncovered pitch, the risk of rain is a material consideration. I'll come back later as to whether to switch the weekend games.